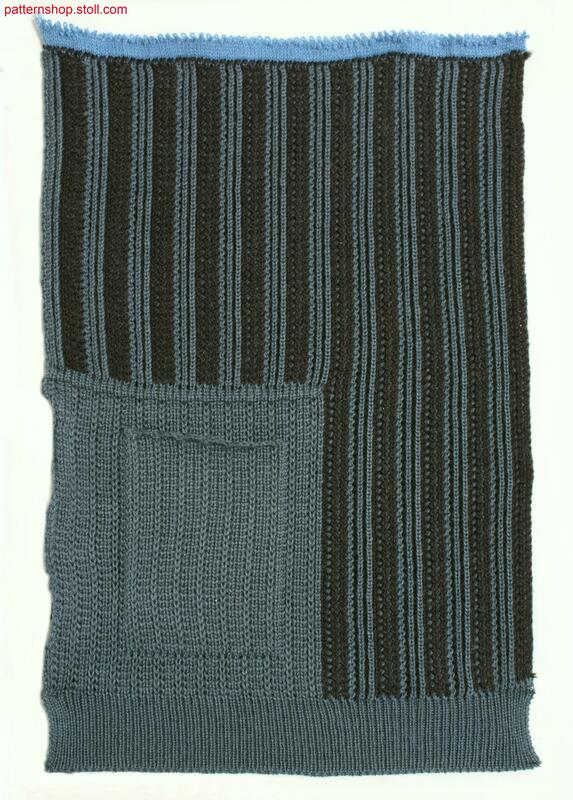 Vertical striped swatch in 2-colour 1x1 rib full cardigan rack stitch with knitted on patch thrust-in-pocket. in 2-farbigem 1x1-Ripp-Fangversatz mit aufgesetzter angestrickter Schubtasche. 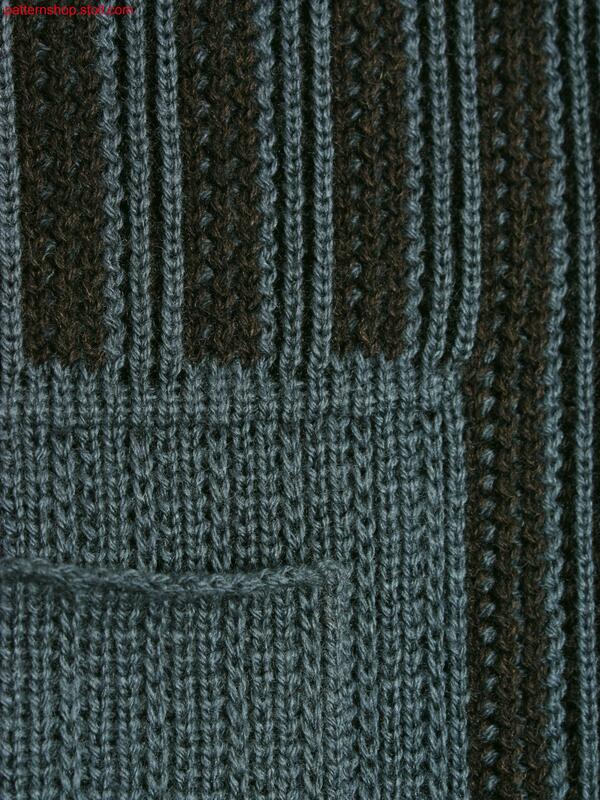 2 knitted fabric(s) / Strickteil(e) 19 min. 24 sec. 1.00 m/sec.